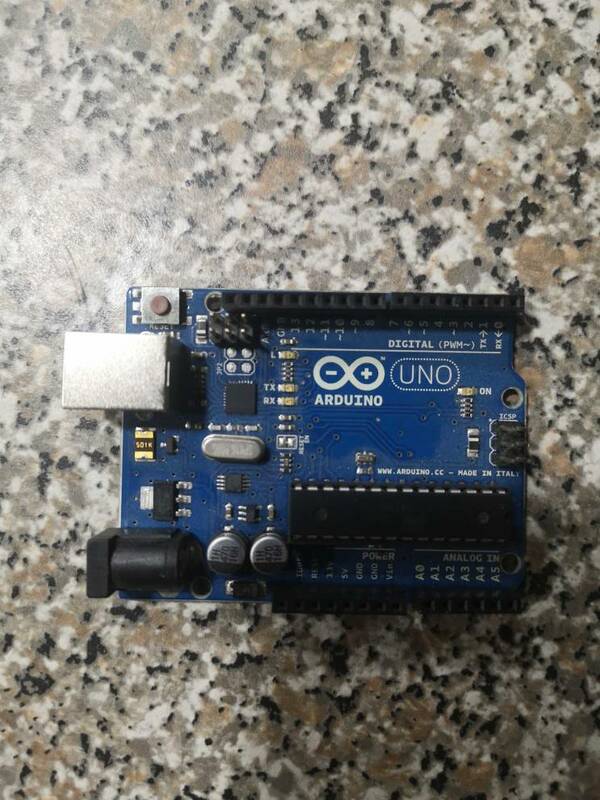 I would appreciate if someone can help me with arduino setup. I'm trying to read analog and digital inputs from arduino through the network. Arduino work on its own through USB, but not after I plug shield board. 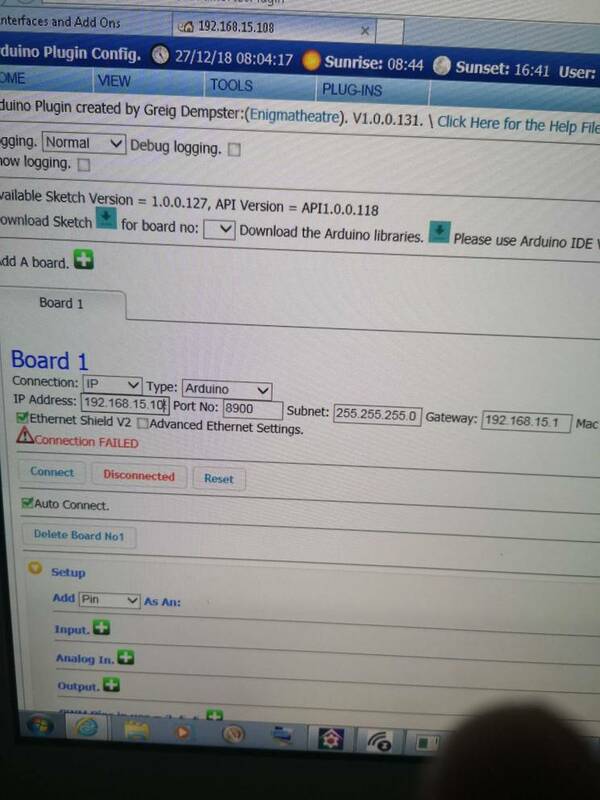 Did you set up all the network settings then upload the sketch to the board again as this is required to go from USB to Ethernet? 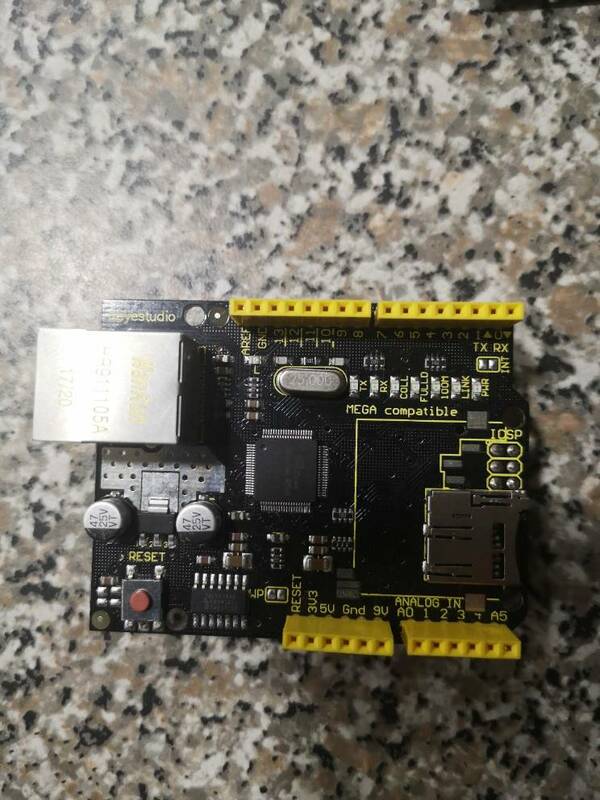 I have arduino board connected with USB as power source and network cable for communication. Rx light flashes, TX doesn't. I tried to ping it but no luck. You have "Ethernet Shield V2" checked in the setup. Is that really a V2 shield? Well, I'm not sure about version neither they call it "shield"
Will try without it. Didn't think about it. Any known reason for this? That error suggests that the constant is already defined somewhere else in the sketch. Obviously, that shouldn't happen. Did you modify the sketch, or is it just as downloaded? After you unchecked the V2 setting, did you download the sketch again? 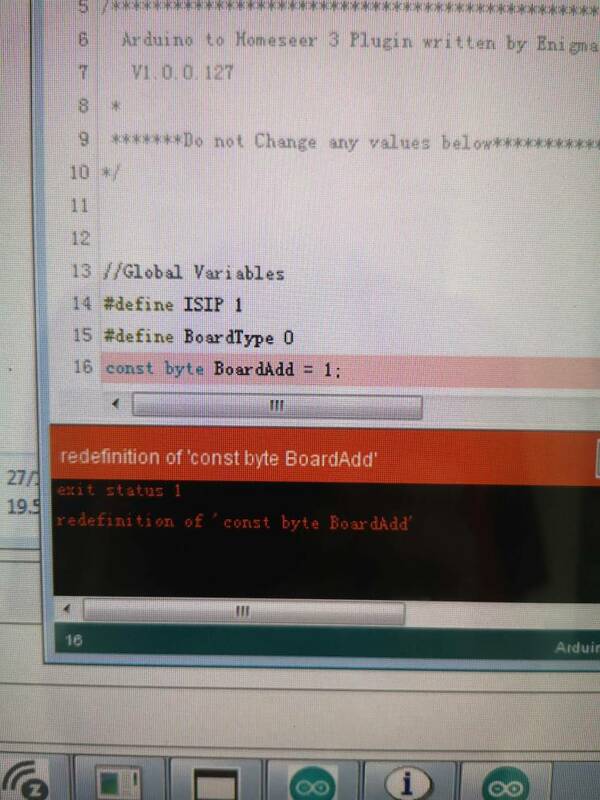 I'm not sure if that's your issue, but the sketch is likely different for the two different versions of the board. What exactly is ‘flickering’? The nature of PWM is not steady state, so it depends on what you are trying to do. What are you driving with your output? I’m new to this plugin, so just making suggestions. I have not used the PWM outputs with the plugin. But my question would be, if you set up a digital output instead of PWM, do you get the same voltage when the output is set to ‘0’ or low? 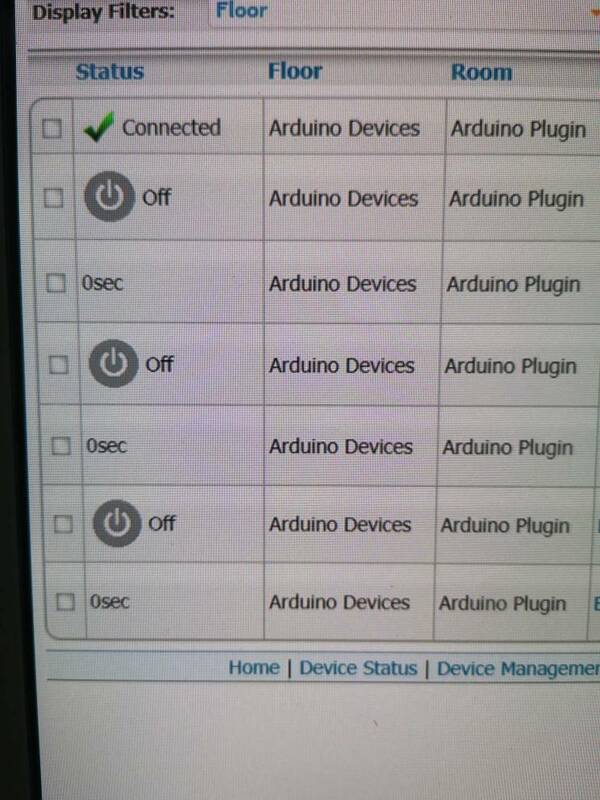 I’m wondering if this is an Arduino board issue or plugin issue. 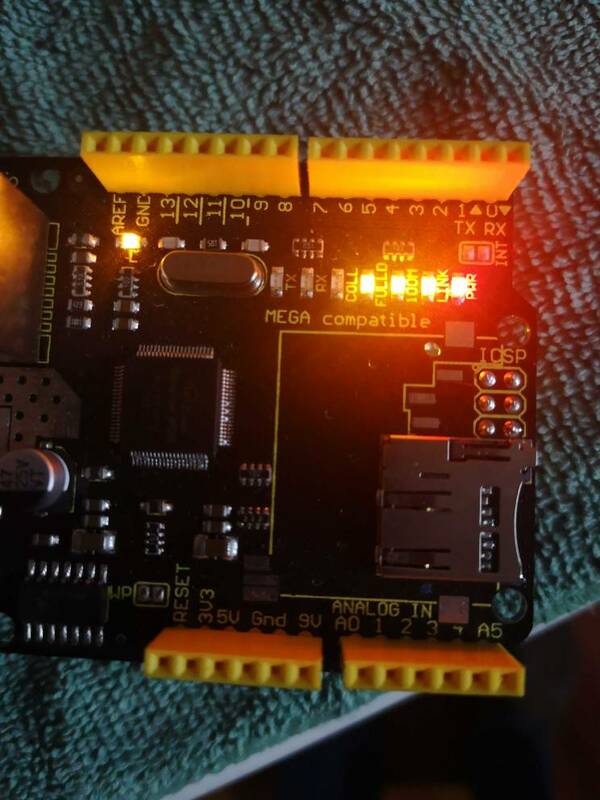 Will set same pins as digital outputs as you suggested and let you know. Any suggestions about connecting arduino to the RGB amplifier / repeater. It uses 4 wires. Positive common and RGB grounds. I set outputs 3,5 and 6 as digital outputs and I'm getting voltage readings when outputs are set to low. Obviously something is wrong with board. Now tricky part. Why outputs 10 and 11 are missing from pin list? I've not done that with an Arduino, but my first thought would be to be very careful about voltages between the RGB amplifier and the Arduino. The Arduino is very sensitive to proper voltage and current maximums. It's fairly easy to fry outputs if limits are exceeded. Which RGB amp are you using? Somewhere in the instructions for the Arduino plugin, it talks about the missing pins (pin 4, also). They are used for the Ethernet Shield, and therefore are not available to be used as inputs or outputs with the plugin. If you click 'Advanced' on the plugin management screen, you can get the pins back, but you might mess something up with the ethernet shield if you try to use them.